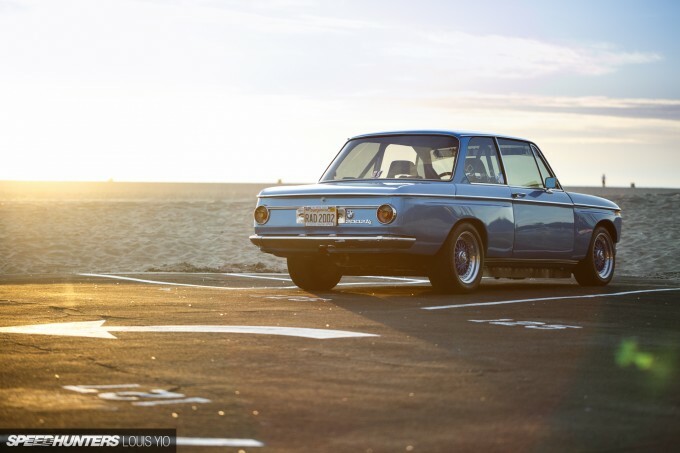 These days, on the roads and highways of Southern California you can hardly go a few feet without seeing a BMW of some sort. It could be a fully loaded 7 Series shuttling some Hollywood executive around, or it could be a base model 3 Series driven by a real estate agent. BMWs are simply everywhere. But it wasn’t always like that. 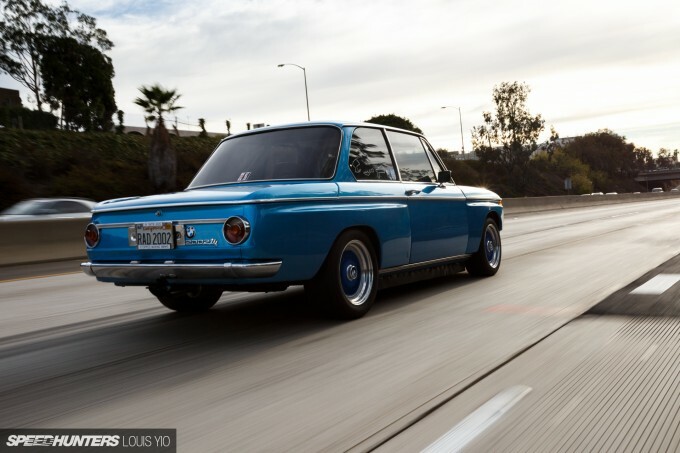 In the early 1970s, BMWs were few and far between on the streets of LA – or anywhere else in the United States for that matter. 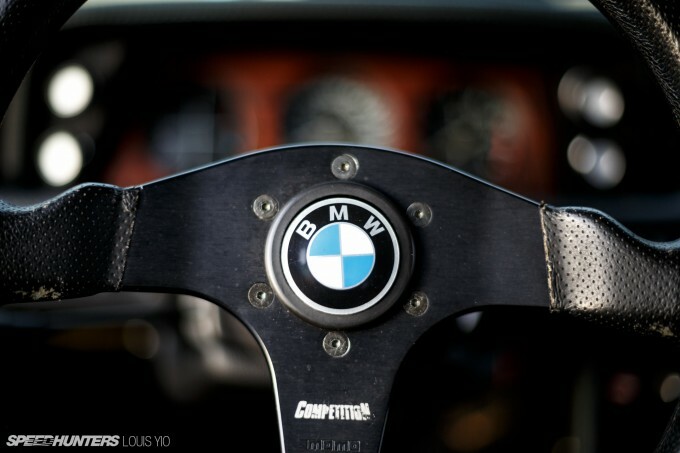 If you wanted to drive a BMW in North America, there’s a good chance you’d have to buy one from an independent importer. 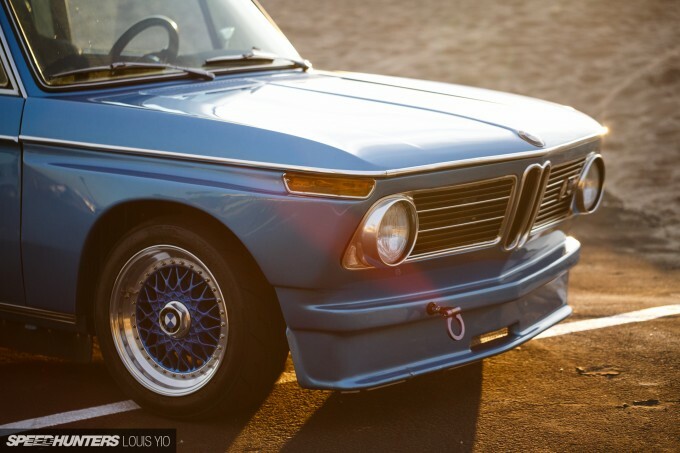 That’s how Norm Manchen acquired his first BMW 2002 in the early 1970s. He didn’t know much about the car when he picked it up. 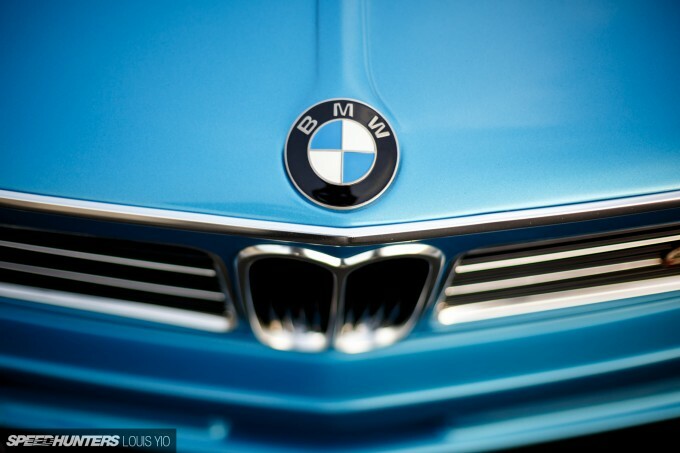 In fact, he originally thought BMW stood for ‘British Motor Works’. 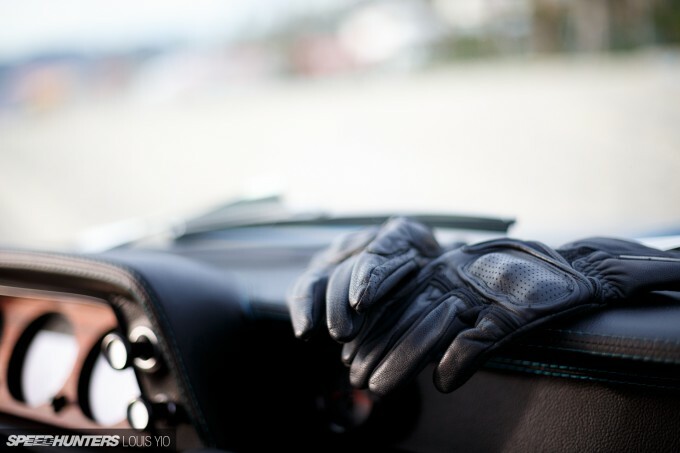 But the more time he spent with the car, the more he began to love it. 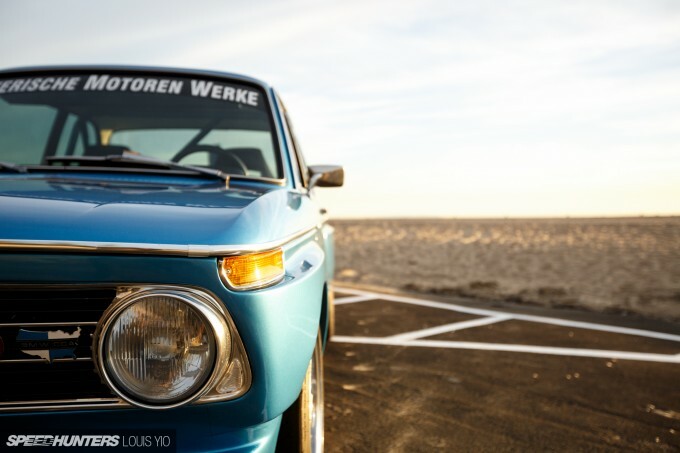 He drove the little BMW everywhere – across the desert to Palm Springs and Las Vegas, and up the coast to San Francisco. 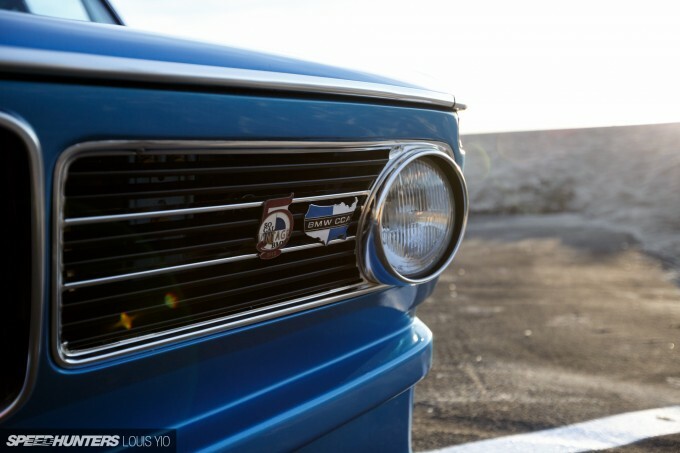 With each mile that passed, he grew more fond of the 2002’s lightweight chassis and willing engine. 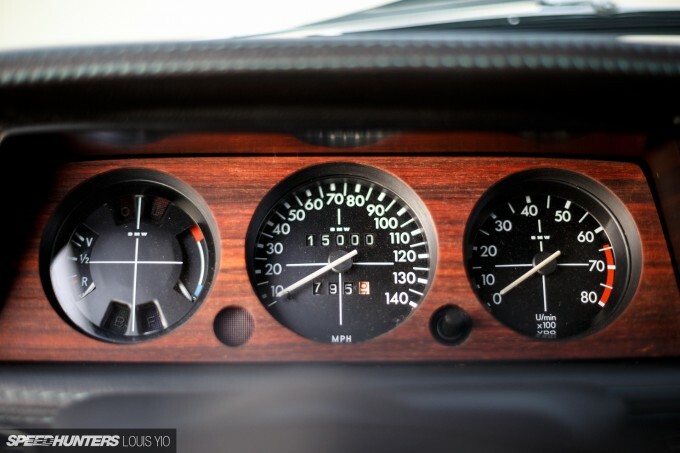 Norm had become a 2002 fan for life, and in the following decades he’s owned no less than seven of them, with each being built in a different style. The most recent is the blue car you see here. He acquired 2002 from a friend in the San Gabriel Valley back in the summer of 2008, and it wasn’t in good shape. 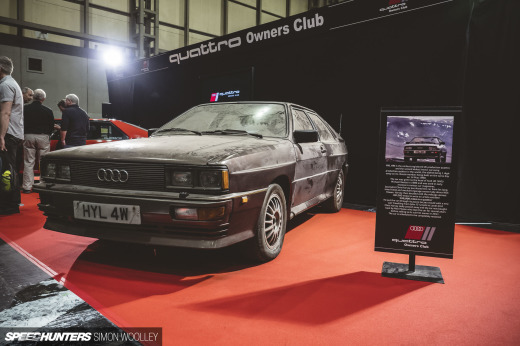 When he decided to save it, the BMW had been sitting for 15 years and plenty of rust was showing through its white paint. 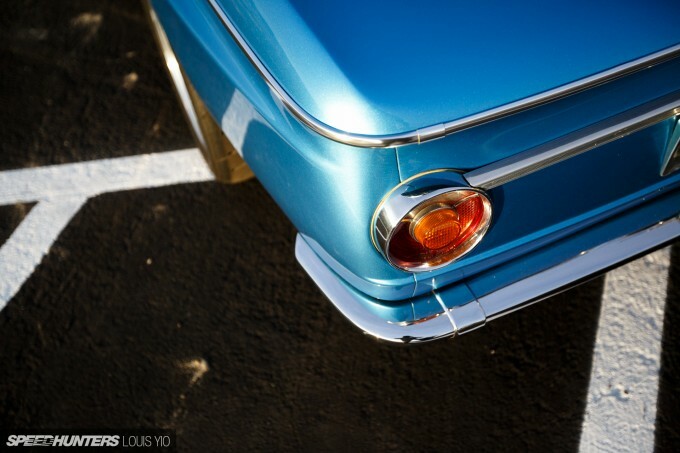 It was essentially a bare shell, but Norm saw the car as the perfect base to build his vision of the perfect canyon carver. 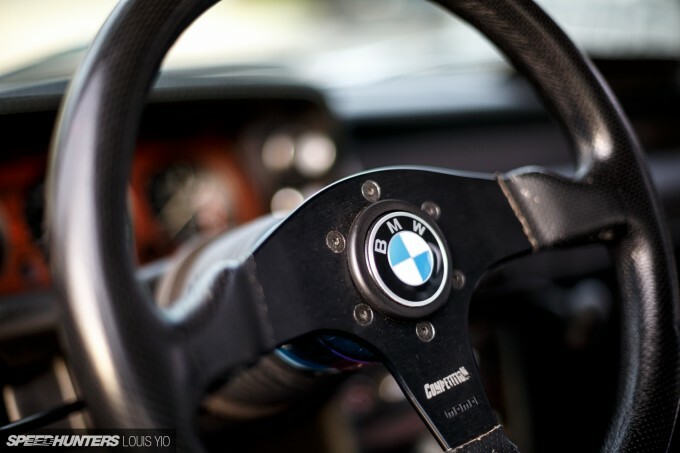 Once he had the BMW in his possession, he wasted no time in beginning the project. It took just 10 months for Norm to complete the build, with the finished car making its debut at the Bimmerfest show in 2009. But sitting around and looking pretty was not the primary reason he built this one. He wanted a 2002 that could be driven hard and driven often, but also one that didn’t stray too far from the things that made him fall in love with the model in the first place. 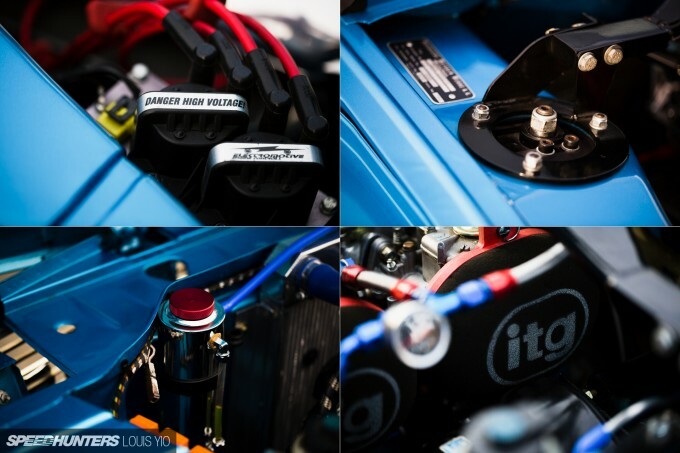 Under the hood of Norm’s blue 2002 sits a fully-built 2.3-liter stroker motor from Top End Performance. It’s packing a lightened E30 M3 crankshaft, Carrillo rods, JE pistons, an upgraded ignition and more. All said and done, the setup is good for 197 horsepower and 170 foot pounds of torque. Those aren’t ram-you-back-into-your-seat numbers, but considering the car weighs just 2,200lbs (998kg) it’s the perfect recipe for fun in the canyons. 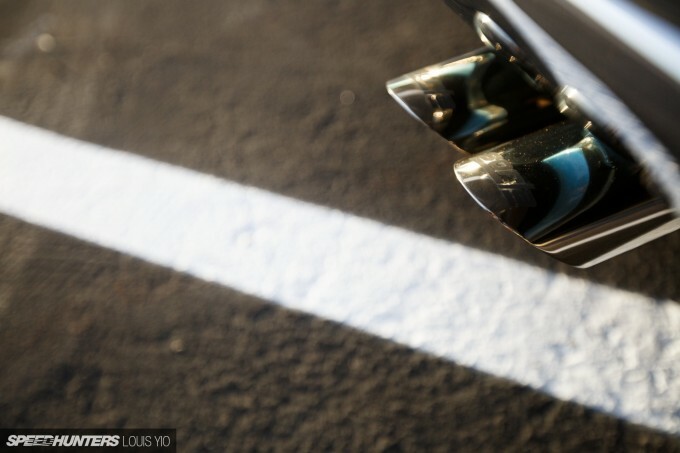 Choosing the right exhaust system was also very important to Norm, but for sound more than power. He tried six different systems before settling on a Top End Performance header with a custom Borla muffler setup. He says it makes that perfect German growl. 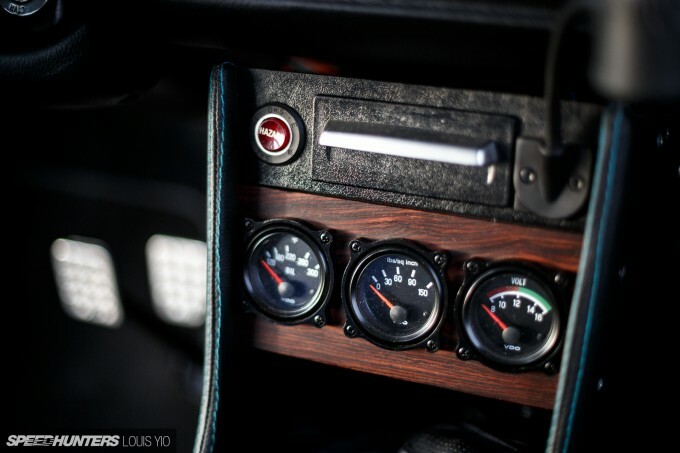 The gearbox is a 5-speed manual, of course, and it feeds the naturally aspirated power to a limited slip differential with a 3.90 gear ratio to ensure the powerband is easily accessible. 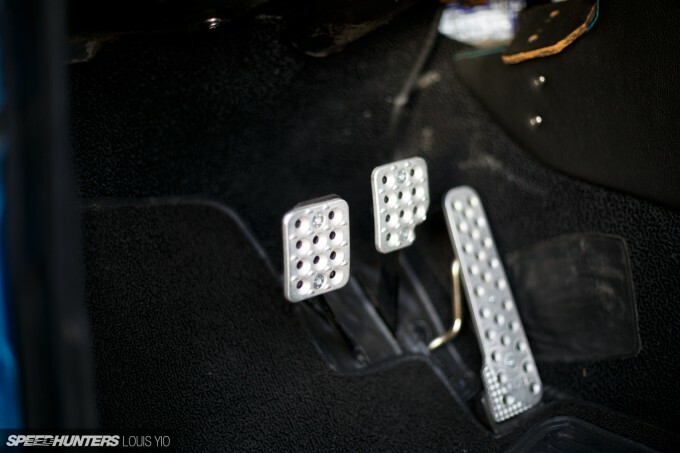 While Norm wasn’t trying to build an outright grip monster, he did want to improve on the stock 2002’s handling. 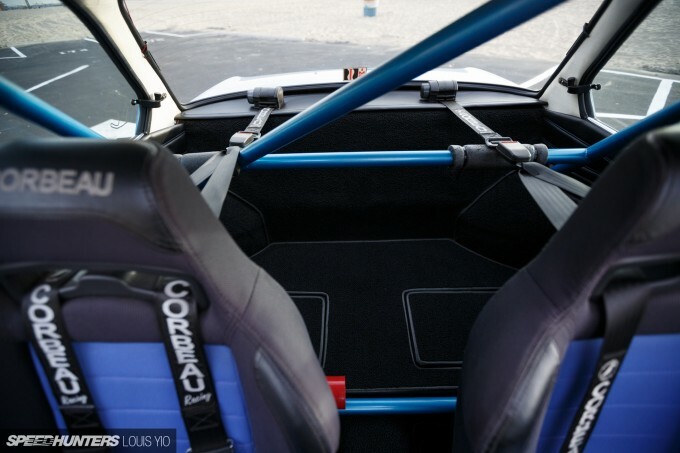 For that, he fitted a set of Bilstein dampers in both the front and rear and also had the front struts converted into fully adjustable coil-overs. As for the exterior, it’s all pretty simple. Up front there’s an aggressive air dam, with a tow hook that comes in handy at track days. There’s also widened fenders in both the front and rear, which give the 2002’s body some added aggression without looking out of place. That brings us to the wheel and tire setup. 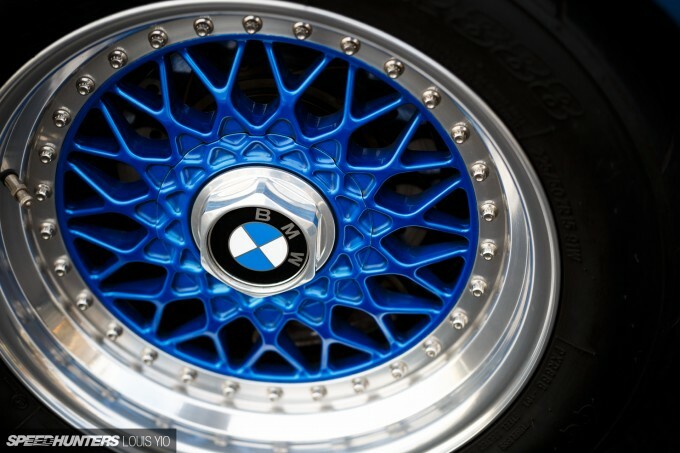 The wheels are timeless 15-inch BBS RS mesh with blue centers to compliment the 2002’s body color. 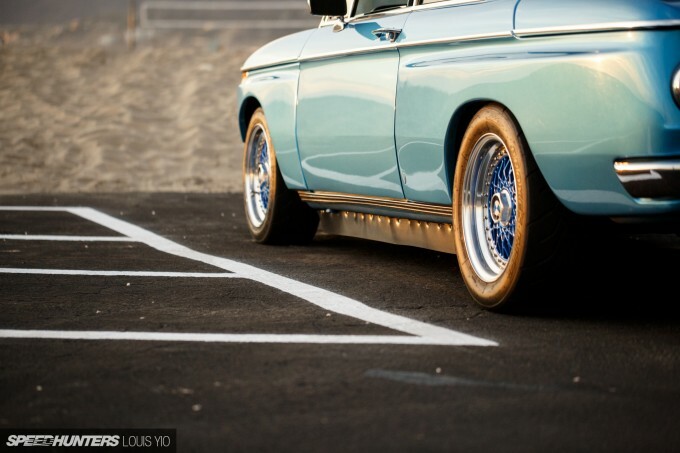 The tires are sticky Toyo R888s – 205/50R15 up front and 225/50R15 in the rear. 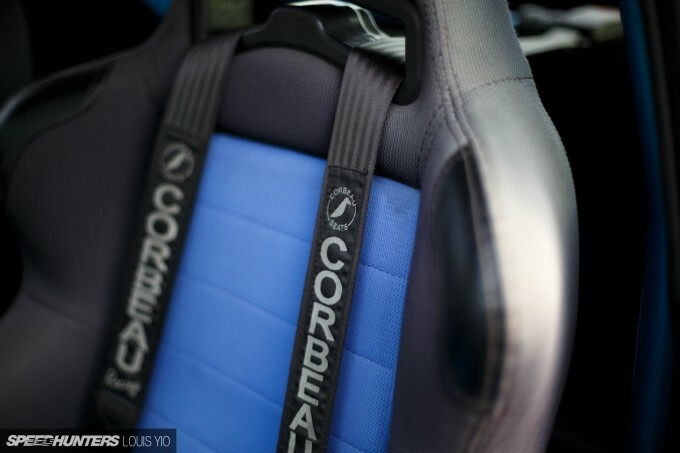 Inside the cockpit of the 2002, Norm went with just the right mix of period correct simplicity and the necessary upgrades for a car that was built for action. 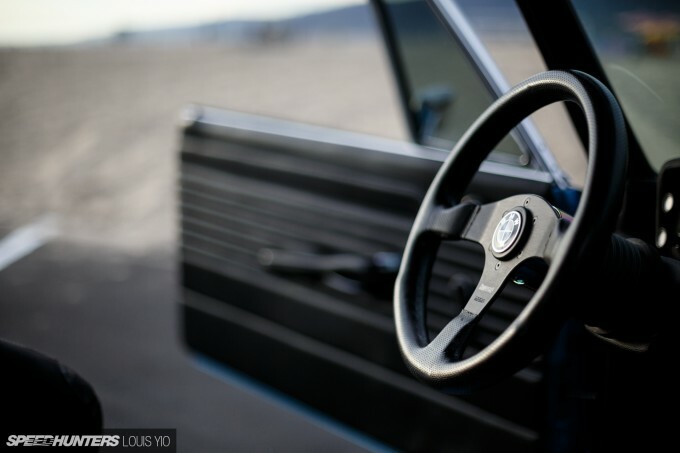 Not only has the entire cabin been completely restored, key upgrades include a roll bar, the supporting safety equipment and a Momo steering wheel with a BMW horn button. 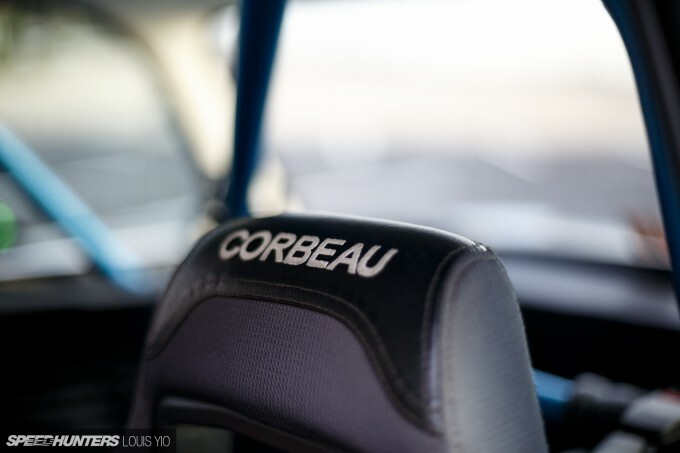 Seating for both the driver and passenger is handled by a pair of Corbeau seats with matching harnesses. That makes them just comfortable enough for highway miles while providing plenty of support for athletic driving. 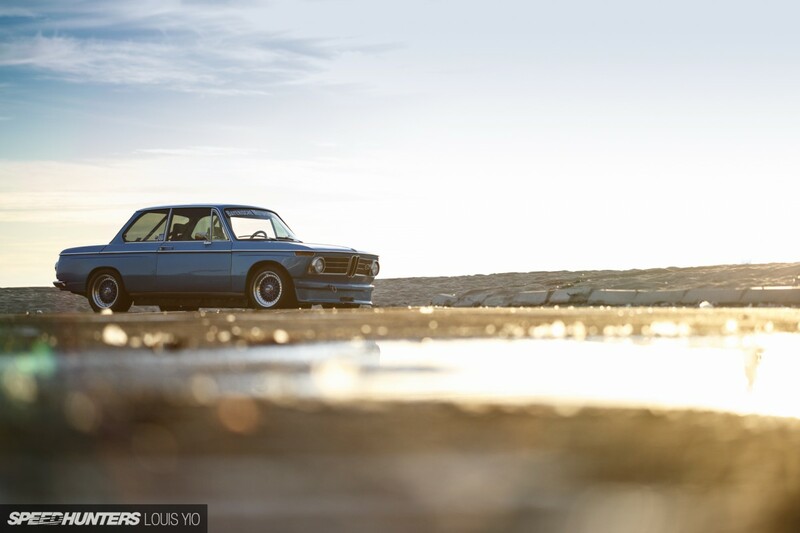 Having been around BMW 2002s for over 40 years now, Norm has never stopped loving the cars. He says he’s made plenty of mistakes along the way, but for him it was all part of the learning experience. And this blue machine could be considered the product of all that experience. 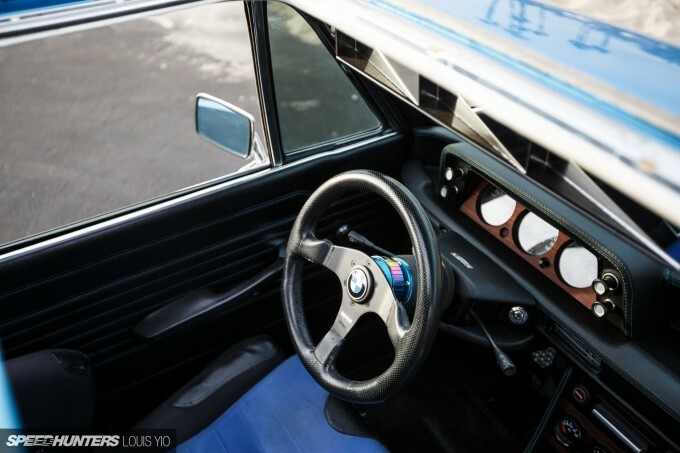 At the moment this is the only BMW 2002 in Norm’s garage, but it might not be that way for long. He’s actually scheming up a radical 2002 project which will include AWD as part of its specs. 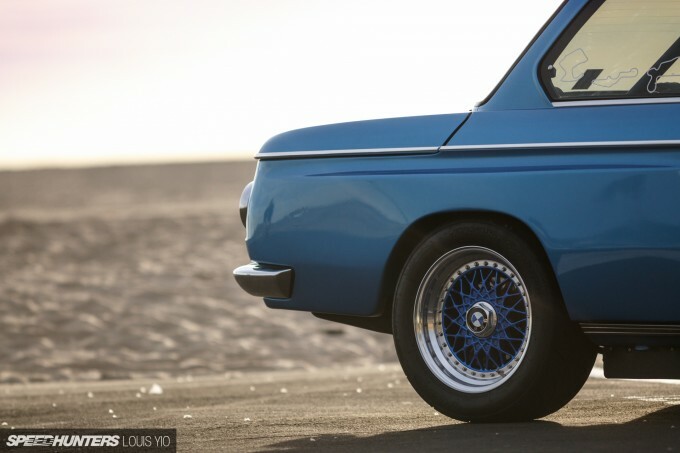 And if there’s anyone that could pull it off, it has to be the guy who’s spent over four decades building, driving and enjoying BMW’s original enthusiast car. I just scored me some wallpapers, nice! 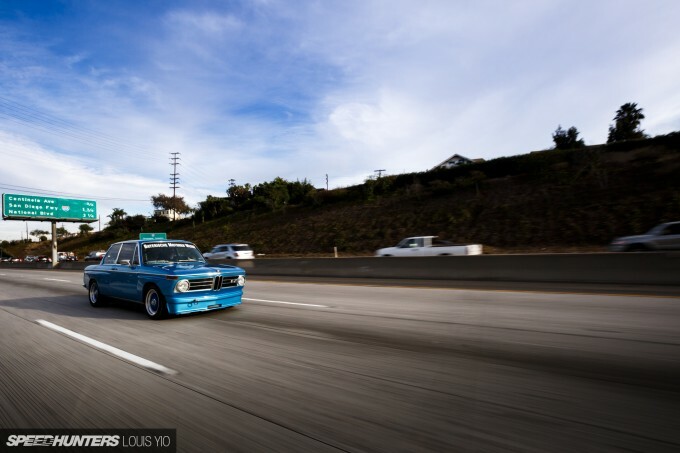 Love it, this build is so period correct, Webers, BBS, old school Momo steering weheel and even side skirts liwe we used to put on our card in the 80. 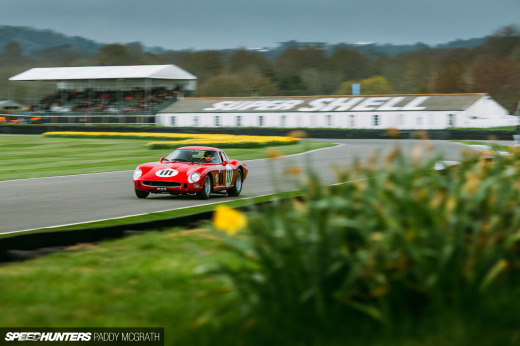 At first I thought this was the same car Petrolicious had just featured. Both amazing cars! Great car, see this thing every time I'm up in the Malibu canyons. Nice guy. Obviously keep us posted on the AWD one, sounds nuts!! maybe a little turbo action?!?! 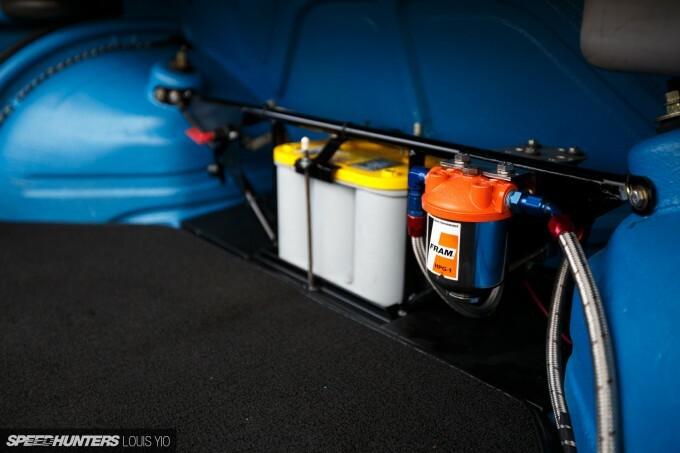 is that a fuel filter and battery in the boot ? Great build and thanks for the cool story. Too bad we can't get to hear the exhaust, please include a video or soundfile next time. Nice build. It seems though the colour of the wheels doesn't match the colour of the car. Or is it just me? MC70 It seems to depend on the light. In picture 16 they look way darker than the car. What are those sideskirts for? To trap air under the car? Does it have a flat bottom? Great car. Balance is more important than power. flyingjolly Actually to keep it out. As the air rushes around the air damn in the front and around the wheels it will send disrupted air under the car, along with the air already under there. The side skirts keep the air running down the body and away instead of under causing turbulence at speed. Also allowing the air under the car to keep moving unabated as much as possible. Weirdly it helps in corners too, keeping air from the side traveling outside of the turn from sending air under the car disrupting it. With how high those are off the ground they arent as effective but I am sure they do help when this little car gets moving faster than BMW intended. more fender flares.... and these look badly done to boot, last picture looks like it has serious ripples and bad filler work towards the tail light where the flare curves back in. you really need to tone down the angles in these pictures. You can hardly tell what you're looking at half the time they are so close up. DerekAlexander B/C there is oil in the trunk? Love this car. Feels very similar to the way I'm building my Datsun. The crank fire with the standalone coils is wicked, would love to do that an old L series motor. It's a very nice car ya.. Very interesting. 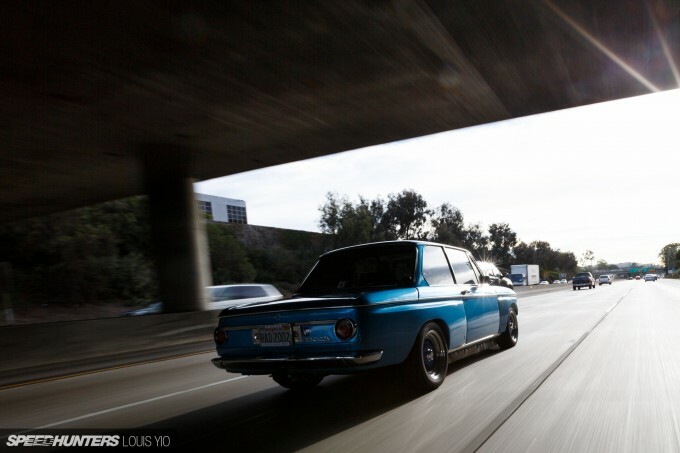 Petrolicious release a BMW 2002 video, within hours Speedhunters publish a BMW 2002 article. However I won't be using any of the pics for my wallpaper. 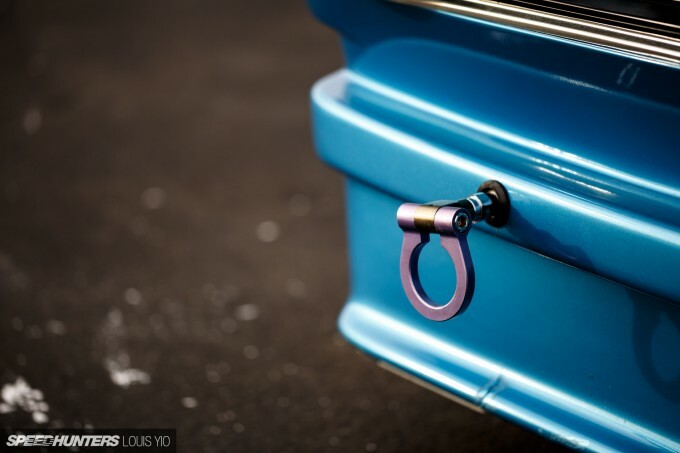 They are beautiful don't get me wrong, but I don't wanna see stuff like gloves or badges/tow hook things. 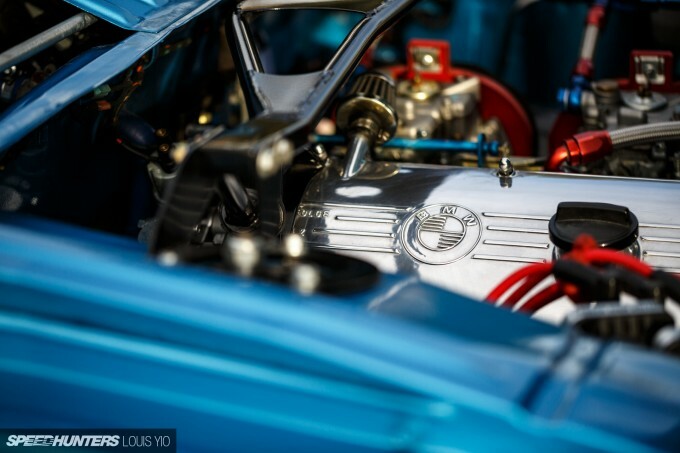 I bet the rebuilt engine bay looked sweet. The paint is perfect on it, the car in its entirety must look pretty with the backdrop - we need to see more of that please! Everybody seems so quick to criticize rather than focus on the great presentation of this article and how nice the car is itself. 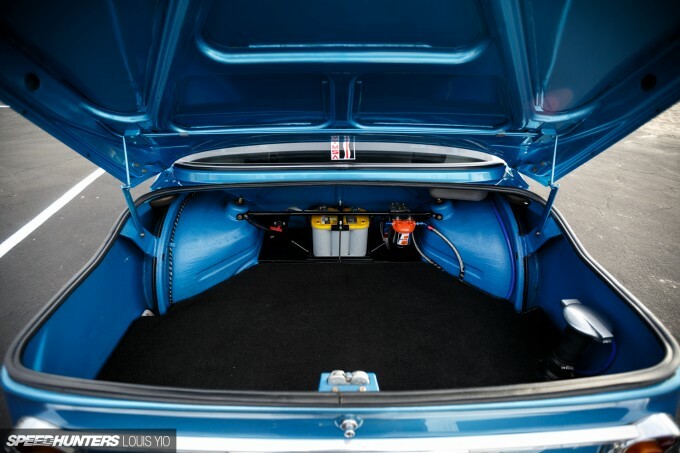 I've been lucky enough to see the car every Sunday at a local car show I attend in Woodland Hills and this article does the car enormous justice! Great job and a wonderful car! How do you guys view the upcoming technology of self-driving cars as affecting the automobile industry? It obviously doesn't appeal to everyone or can be afforded by everyone? So where do you guys see it affecting future of the industry and everyday life in say, 5 years? 10 years? 15 or 20? I would really like to know what you guys at Speedhunters have to say about it. TobyTwiss I'll shoot jdm angle style from now on. Thing is a beaut. Great shots and article you guys. Looking forward to that AWD 2002! @Whoshot i'm aware of the technical reasons, but couldn't figure why this car in this configuration has it. The first part of your last sentence combined with John Key's answer sums it up. Lovely job. 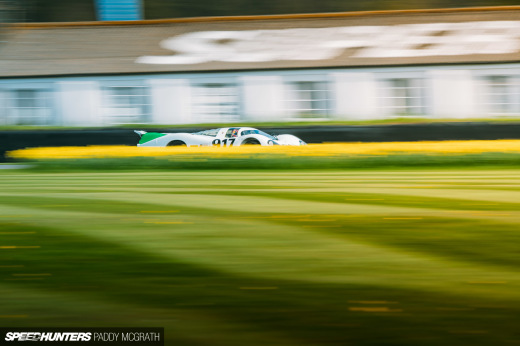 The colour looks spot on , agreed that a full engine shot would have been nice. Looks damn near perfect to me. I'd LOVE to drive it. NormanManchen - I'm kinda surprised you didn't convert to EFI. Any reason for that? Also - what is that on the brace in the rear? Fuel filter? Are you looking at the same pictures as everyone else? 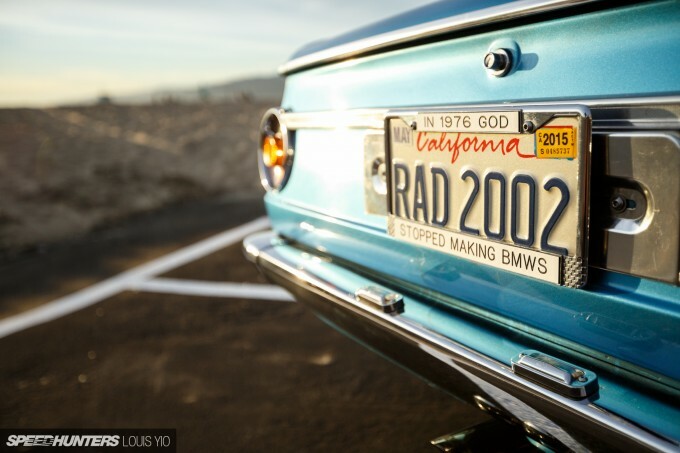 "In 1976 God stopped making BMW's"
Well that's a purist if ever there was a BMW purist!! PS. What Colour is it?